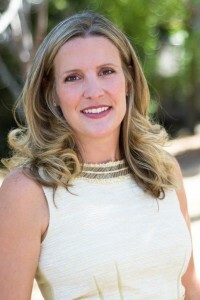 Ranked #23 out of 100 top tech VCs in Forbes’s 2015 Midas List, Rebecca joined Morgenthaler’s Menlo Park office in 2007. She focuses on early-stage investments in mobile, financial services, digital health, SaaS and consumer. She led investments in Lending Club, Practice Fusion, Check (sold to Intuit for $360M in June 2014), Doximity, and Convo. She is a board observer on both Adara Media and Socrata. Rebecca was named a “Midas List Hot Prospect” by Forbes in 2013, and a “Top Women VC” by Forbes in 2013 and 2014. Rebecca began her career at Procter and Gamble’s corporate headquarters where she worked in international new product market entry. She spent time in both Cincinnati and Mexico City developing new products for the market and launching a new category in Latin America. She then joined NextCard as an early employee and spent four years at the company. At NextCard, she led product development efforts and later served as the Vice President of Marketing where she managed one of the top five largest online marketing efforts. NextCard was the first online credit card company, and it went public in 2000 with a $1.3B market cap. After NextCard, she ran her own consulting business focusing on online marketing for financial services and affiliate marketing. Rebecca passed the California State Bar and has a focus on intellectual property litigation and corporate law. Rebecca is an inventor on several issued patents, and she was published in the Berkeley Law and Technology Journal. JD/MBA degree from the Haas School of Business and U.C. Berkeley School of Law at the University of California at Berkeley. B.S. in chemical engineering from the University of Missouri in 1996. Lending Club and Check featured in Mary Meeker’s Internet Trends 2013 Report. Are Free Motorola Phones in Our Future?